Stylish Southern Mama is a popular blog run by Jessica, one of the most fun loving bloggers out there. Stylish Southern Mama is an ideal place to find reviews on all sorts of beauty and skin care products and get access to exciting giveaways. Some of the main topics covered by Stylish Southern Mama include beauty, fashion, craft products, kids products, apps, books, home décor, cleaning supplies and food items. In an article titled “Vine Vera Red Wine Skincare: Resveratrol Dark Circle Eye Cream Review”, Jessica talks about one of Dr. Oz’s shows where she learned about why red wine and Resveratrol are so beneficial for the skin. She explains to her readers that Resveratrol is an antioxidant that helps to prevent the signs of aging. She also talks about her experience with the Vine Vera Dark Circle Eye Cream and describes this product as a cream that will “immediately reduce the appearance of dark circles and puffy eyes”. 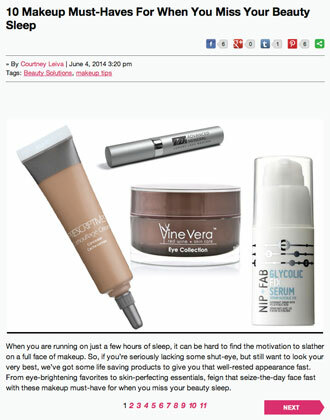 Vine Vera would like to thank Jessica for introducing the Vine Vera Dark Circle Eye Cream on her blog. All those of you looking for solutions for the skin around your eyes are likely to find the Vine Vera Dark Circle Eye Cream to be really beneficial.